Hooray! At last the sun is shining. The wind has fallen. The rain has ceased. The wild, wet and windy weather we have endured here in Wales over the past 4 weeks has finally abated. Excitement in the Challinor Household was difficult to contain. Well that was the situation for one of us. Auntie was a little more controlled in her enthusiasm, but there was willing in her demeanour. OK, perhaps I should explain that the Aunt in the title of the blog is not really my Auntie, but in fact the Mrs! And although I have been to South America, that is the extent of the comparison with Graham Greene’s book of the same title. 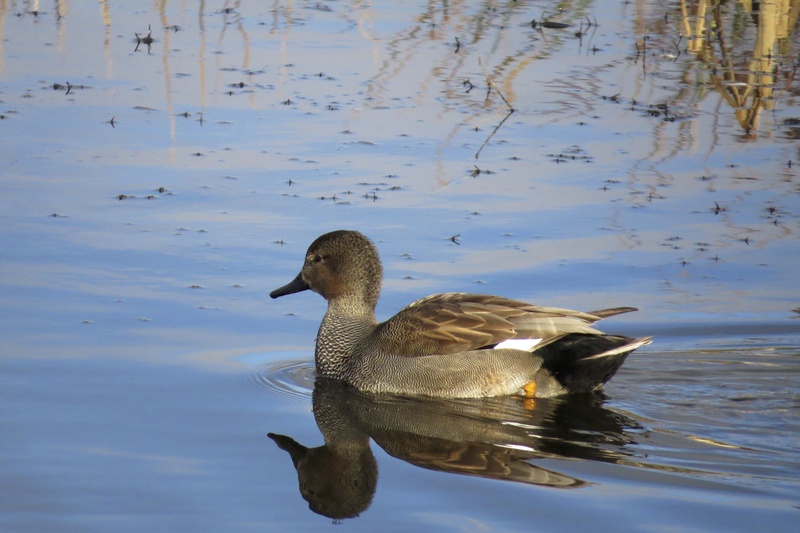 So once we were both suitably dressed it was into the car and after a quick 50 mile drive west along the M4 we arrived at the Wildfowl and Wetland Trust (WWT) Reserve just outside Llanelli. This is one of 9 WWT reserves in the UK. Sir peter Scott set up the charity, creating the first reserve at Slimbridge, Gloucestershire, with the intention of raising awareness about the need to conservation of wetland areas. 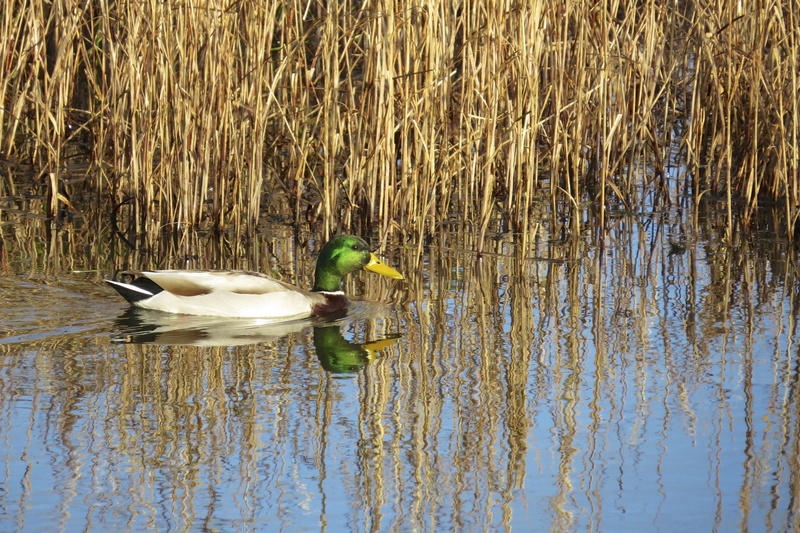 I’ve been to Slimbridge in the past, and was impressed by the organisation. However, I quickly became victim of envy seeing all the expensive camera lenses and telescopes that everyone was carrying about. Llanelli was very different. It was quiet, there was plenty of room. There was more variety in the landscapes that you can walk through. 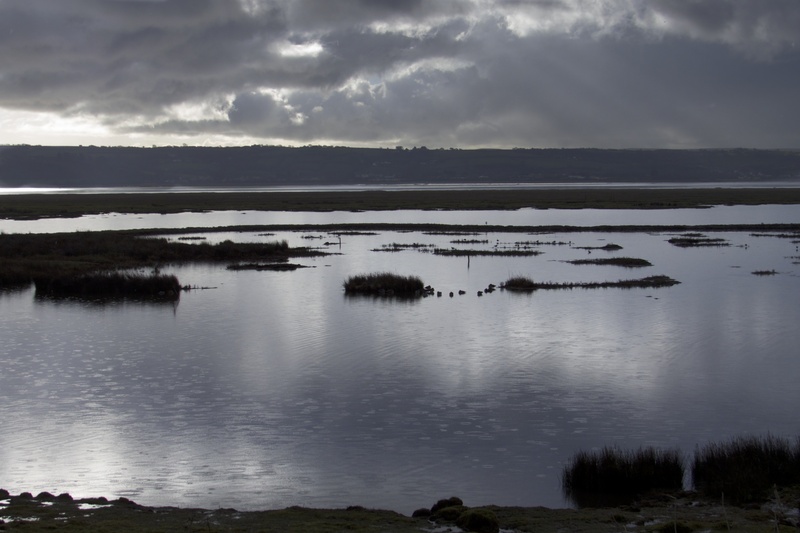 These included fantastic salt marsh and estuary over looking the north coast of the Gower Peninsula, freshwater lagoons, small areas of woodland. The pathways are easy to follow, going in all directions. Now the Mrs is not an avid birdwatcher, but there was enough to see to keep her interest long enough to allow me time to watch. As long as I kept it to 10 minutes per hide that is! But serendipity did allow us to stay for longer in the hide overlooking the estuary because of a quick shower. 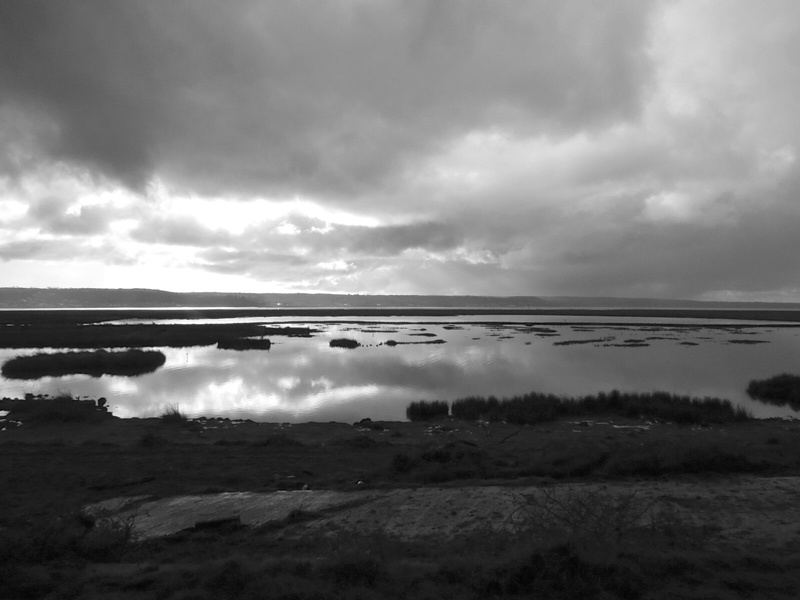 Most of the site is given over to fresh water lagoons, and the estuary. 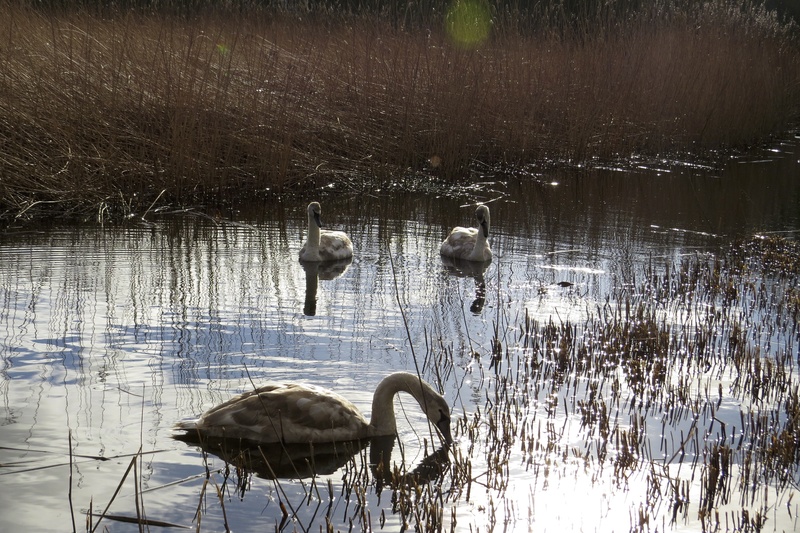 But as part of their conservation legacy the WWT has areas dedicated to education. Along with examples of ducks and geese from different areas of the world. Hence the flamingos in the photograph. We don’t have native flamingos in Wales! So what did we see? Well in total we saw a total of 32 species, and probably missed many more. I managed to take a few reasonable photos of the following. 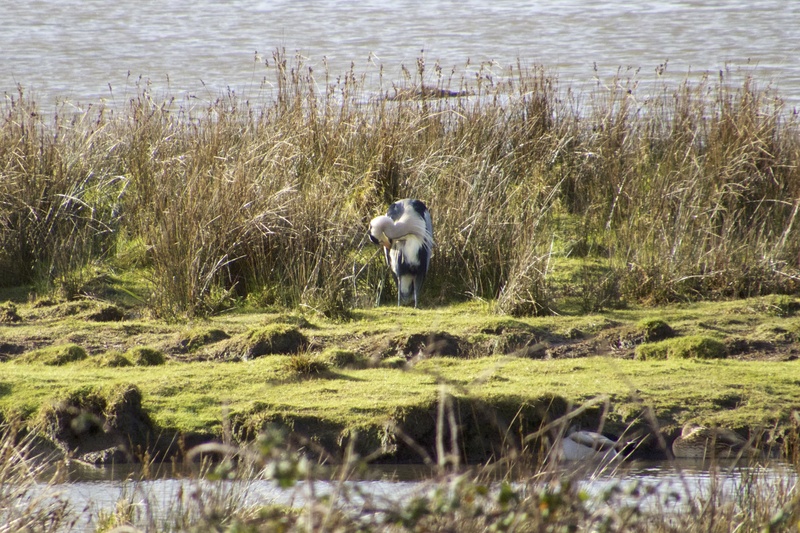 A heron busy preening itself on the salt marsh. It was busy for some time doing this. 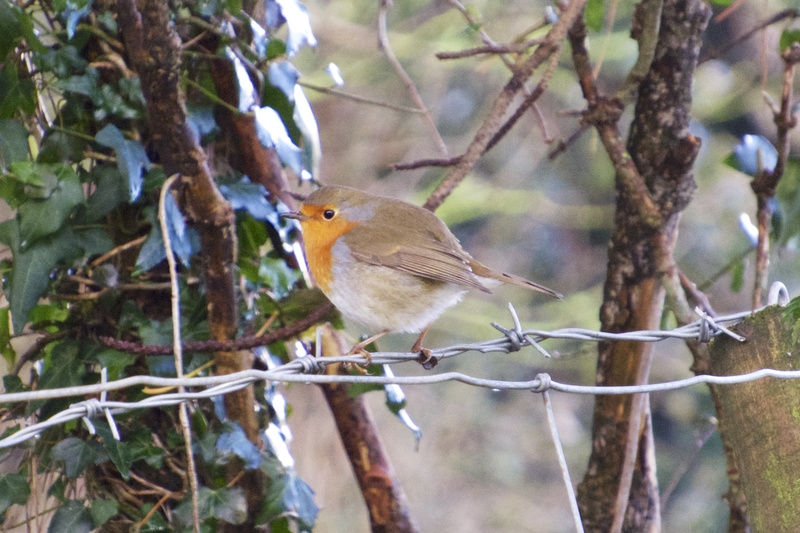 And I can’t resist adding one of my favourites, the robin, though it can hardly be claimed to be a water bird. 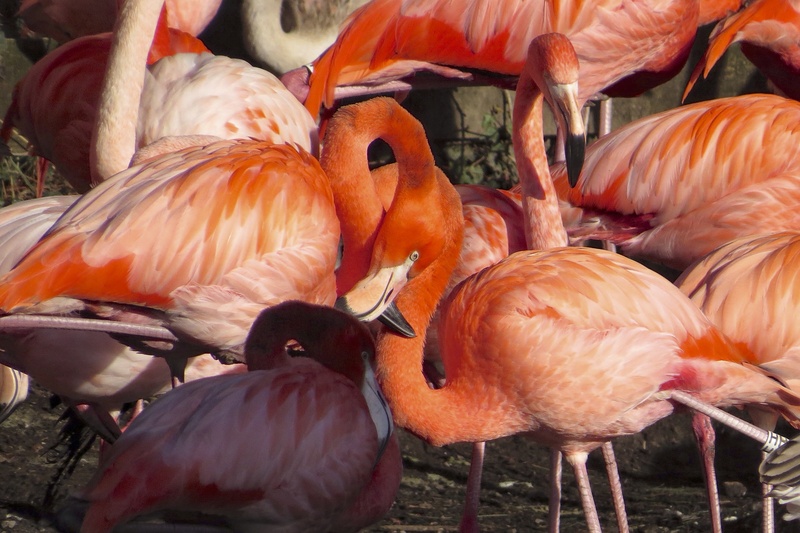 And of course the local Welsh flamingos! Would we go back again? That is an easy one to answer. Yes we would. And I would also recommend it to anyone. The paths are easy to follow, and are accessible to everyone. There are great views over small lagoons from the cafe. There are hides all over the place. And the cafe does a wicked tomato and red pepper soup. Next Next post: A day out to the seaside.